hard hitting exposé on the indiscriminate killing of migratory birds in the Mediterranean region. This is a critical issue that demands our attention. I invite you to read the article online or to purchase the magazine. Speaking of which, I've been a NatGeo member on and off for most of my life...when I could afford it. I recently acquired an iPad for work and just started enjoying the National Geographic Magazine app. What a glorious experience reading the interactive magazine on the iPad! I highly recommend it. Below is a video clip of photographer David Guttenfelder describing some of his experiences. I subscribe to National Geographic and read the article. 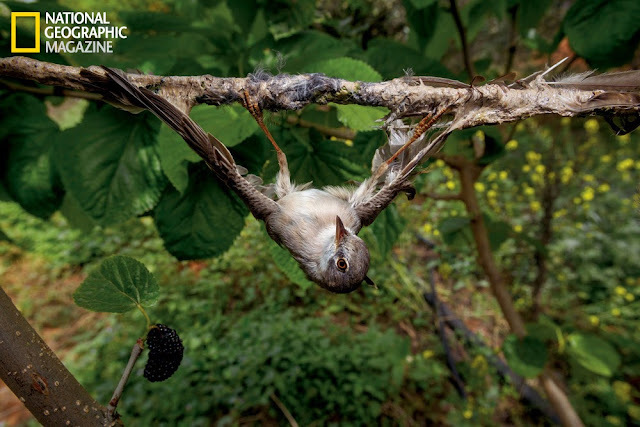 Around the Mediterranean hunting songbirds for food and sport is such a heart wrenching story. Jonathan Franzen had an article on the same topic, "Emptying the Sky", in the New Yorker in 7/2010. Kudos to him for bringing this issue to the world's attention!